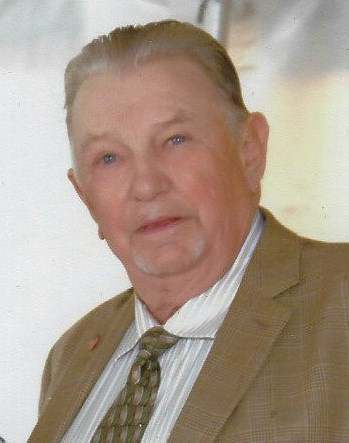 NEW ULM — Frederick L. Juni, age 78, of New Ulm, passed peacefully on April 3, 2019, at Divine Providence Community Home in Sleepy Eye with his family by his side. Freddy had courageously battled cancer for eighteen years, beating most odds. A Celebration of Life will be held from 3-7 pm on Friday, April 12, 2019, at Turner Hall in New Ulm. Family memories will be shared at 6 pm and additional memories will be shared at 7 pm. It was Frederick’s wishes to be donated to Mayo Clinic in Rochester for research studies. Burial will take place at a later date in the New Ulm City Cemetery Columbarium. Frederick Lowell Juni was born March 21, 1941 in New Ulm to Lowell and Hilda (Frederickson) Juni. He was a 1959 graduate of New Ulm Public High School, and attended college at the University of Minnesota. Frederick later came home to work on the family farm, which turned into his lifelong career. Frederick is survived by his sons, Lowell (Holly) Juni of New Ulm, Michael (Kari) Juni of Mankato, Scott (Jody) Juni of New Ulm; grandchildren Brenson Juni, Bryce Juni, Kaitlyn Juni, Megan Juni; great granddaughter Lillian Juni; and step-grandchildren Breanna (Tyler) Linn, Logan, Max, and Nate Petersen. Frederick was preceded in death by his wife Phyllis, and his parents. Frederick was a lifelong resident of Milford Township where he raised his family on a fourth-generation farm. He also raised black angus and hogs. He grew corn and soybeans, and produced peas and sweetcorn for Del Monte. He loved farming the land and took great pride in his efforts. With his internal GPS, Freddy planted the straightest rows around. He also produced an exceptional garden every summer with his wife, Phyllis. In the spring Frederick would tap Maple trees on his property to make maple syrup. In the summer, he would pick wild raspberries to make his award-winning jelly. Frederick was a respected community leader. He served on several boards and committees: Milford Township, Community Co-op – River Region, Bridging Brown County, and Region 9 Development, to name a few. Throughout Freddy’s life, he enjoyed bowling, playing softball, golfing, snowmobiling, cruising Lake Hanska and the Minnesota River on his pontoon with his family and friends, and driving his Polaris Ranger from field to field checking on his crops. He also hunted morel mushrooms and ginseng in his woods. He enjoyed watching the Twins and the Vikings. He attended countless sporting events played by his sons and grandchildren. Freddy was a devoted supporter of the Essig Baseball Association. Freddy loved the time he had with his family and friends, and will be missed by all who knew and loved him!